Eli* has a proven track record of success, because he fights for his client relentlessly. 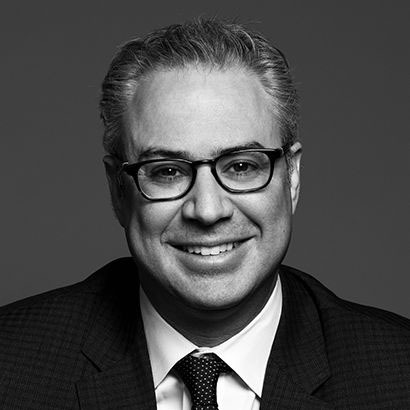 Recognized by Lexpert as a “Leading Lawyer Under 40”, Eli has§ extensive trial and appellate experience, having appeared in some of the leading contract and professional liability cases, including at the Supreme Court of Canada. Eli achieves success for his clients using his sound judgment and business acumen. As his client, Eli has your back‡ at all times, simplifying complex issues into layman’s terms and finding practical solutions to complicated legal problems. And when a resolution isn’t possible, Eli is a formidable presence in court, respected by both judges and his opponents for his skilled, professional advocacy. .
Eli's practice covers a broad range of complex commercial litigation matters, including securities law, class actions, commercial contracts, franchise disputes, oppression and other shareholder litigation. He regularly acts for directors and officers of private and public corporations and advises boards and their committees on governance and litigation matters. Eli has extensive trial experience in commercial litigation and in medical malpractice actions, and also acts as counsel in commercial arbitrations. He has appeared as lead counsel at all levels of court including the Supreme Court of Canada, the Court of Appeal for Ontario, the Court of Appeal for Alberta and the Ontario Superior Court of Justice. Eli represents clients in a wide range of sectors, including those in financial services, information technology, real estate, franchising and manufacturing. Eli is a frequent speaker in continuing legal education programs particularly on issues relating to contractual disputes, securities law and trial advocacy. Counsel to the successful respondent in an application for adverse possession over a strip of land between two residential properties in Toronto, Ontario. Counsel to the defendants in respect of an injunction brought by a competitor business. Counsel to officers and directors in two class proceedings alleging misrepresentations in a prospectus and disclosure documents, including a statutory cause of action pursuant to s. 138 of the Ontario Securities Act. Representation of a director and officer of a public company before the Ontario Securities Commission. Counsel in application for judicial review before the Divisional Court in respect of a decision of the Executive Committee of the College of Physicians of Surgeons of Ontario. Counsel to a $40 billion defined benefit pension plan in respect of a claim for maladministration, breach of trust and breach of fiduciary duty. Counsel on successful motion to the Superior Court of Justice striking out portions of a Statement of Claim. Representation of a physician before the Discipline Committee of the College of Physicians and Surgeons of Ontario relating to the prescription of narcotics. Counsel to a court-appointed receiver-manager in respect of a construction dispute. Counsel on behalf of successful respondent defeating a motion to strike a pleading alleging negligent and fraudulent misrepresentation. Counsel to a major land developer against the Province of Ontario in respect of a development planning area established under the Ontario Planning and Development Act. Eli S. Lederman served as Program Chair at the Osgoode Professional Development Intensive Trial Advocacy Workshop, Advanced Skills Series. Eli S. Lederman speaks at the Canadian Institute's 9th Annual Conference.